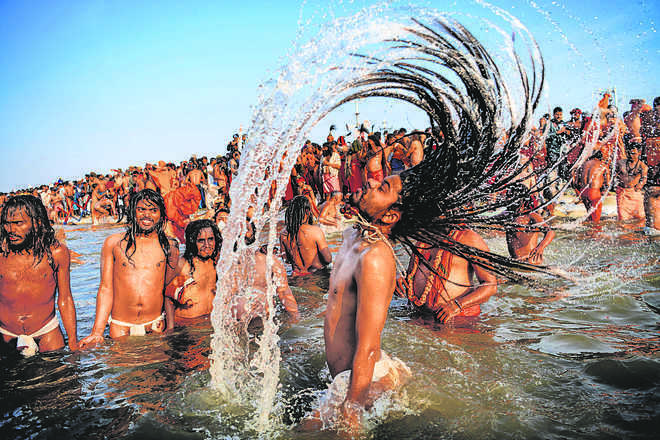 Acting upon a petition Allahabad High Court has recently put a restriction on media upon publishing photos or videos of women taking a dip at the Kumbhamela premises in Prayagraj. The Court has directed that no photographs of women taking a bath/dip in the ‘Mela’ area to be published by the print or visual media. The direction further says that if any such publication will be done, an action shall be taken against the publisher. Kumbh Mela probably is the largest human congregation in the world. Millions of pilgrims including saints take part in Kumbha. 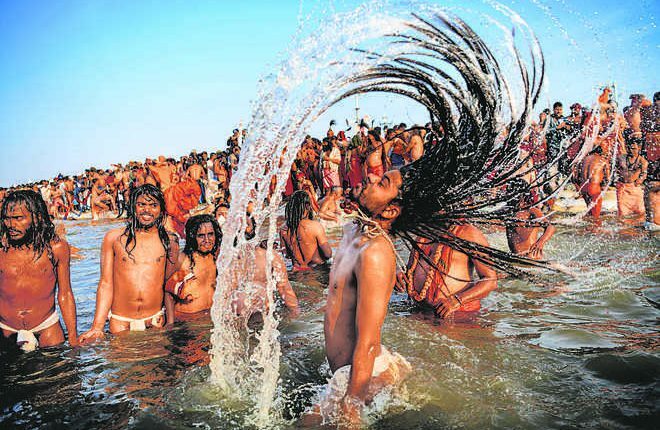 One of the prime rituals of this mela is to take a dip in the holy water of the Ganges at the Triveni Sangam. It is believed that the holy bath paves way for towards salvation and would rid them of their sins and also benefits ancestors of the person, who take bath in the holy river during Kumbamela. According to reports, the petition was filed by advocate Asim Kumar seeking a ban on photographs in bathing spots. The Bench of Justice constituting PKS Baghel and Justice Pankaj Bhatia has expressed displeasure over photography and videography on bathing ghats in Kumbh Mela premises and hence has issued the direction. The Court has directed the Fair Officer that any videography and photography in bathing ghats have to be banned. Kumbhamela is a grand event that is held in the month of the Hindu month of Magha in every 12 years. While the Ardha Kumbh Mela is held every six years, the Maha Kumbha is held every 12 years at Prayagraj in Uttar Pradesh. This year it has begun on January 15 to continue till March 4. Also read: Actors Eat Living Goat, Hen During The Show! Actors eat living goat, hen during the show!